Store Van will attend at the 2018th edition of the most important exhibition on the world of delivery. From the 9th to 11th October 2018 Store Van goes to Hamburg for the Post-Expo. The exhibition is the perfect place where you can discover the latest news on the world of postal transport, courier, shippers and e-commerce and last mile delivery. You can see and touch the products and technological innovations at different stands and attend the conferences where the most important players in the market will share their experience and knowledge. Among the 160 international exhibitors, Store Van is waiting for you to show the different characteristics of CEP (Courier – Express – Parcel), the fitting for delivery and express courier. At the exhibition there will be a vehicle with the foldable van shelving Light Shelf, the system that allows you to adapt the loading bay to your needs. CEP is an innovation in the world of van conversion, characterized by a partition wall with sliding door and safety lock, higher roof for an easier access to the cabin and an additional foldable passenger seat. 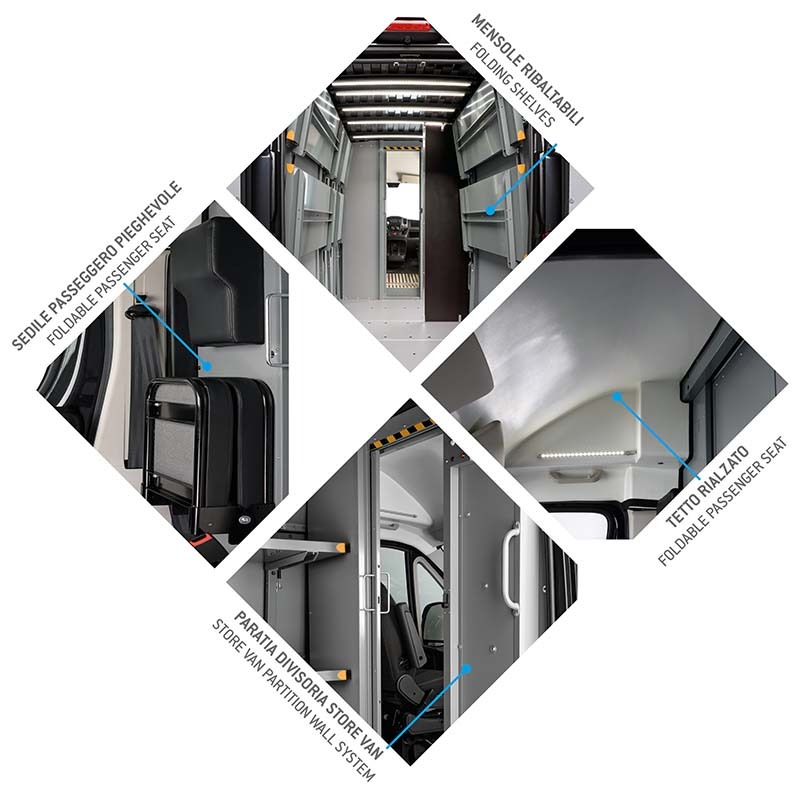 Multiple solutions with one attribute in common: the van load security system, with the possibility to use lashing straps and bars to secure the load. Come and visit us, you will find us at stand 240 in hall B3!